Don't it always seem to go, you don't know what you got till you've gone. Homer's sold you LPs, and you took home somebody's life. Me, I thought it was just an exceptionally eclectic bit of birthday shopping at the Old Market record store -- everything from Oingo Boingo to Paul Mauriat, with some Louis Prima and Keely Smith in between. Oh . 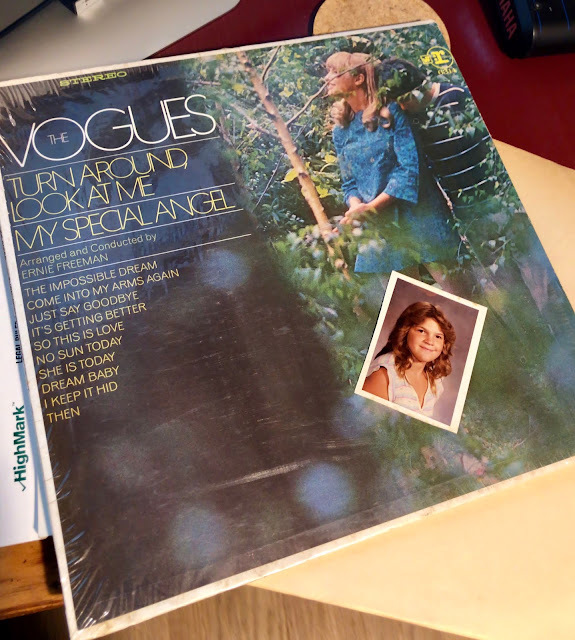 . . and a 1968 album by The Vogues. Just a while ago, I was taking the old record out of the old jacket, and out fell a piece of somebody's life, a picture of a pretty young girl. Maybe a high school picture, maybe just the Kodak paper evidence of splurging on a trip to the photographer's studio. I do know this, though. It looks like my long-lost, teenage journey through the last half of the 1970s. 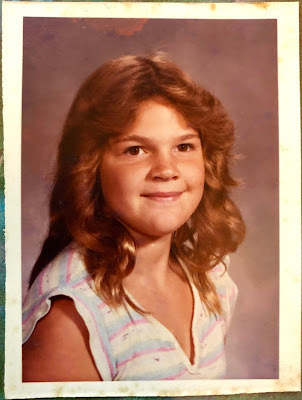 I remember that hair, and that blouse rings a bell. Definitely the last half of, if not the Age of Aquarius, certainly the Age of Dacron Polyester. A 40-YEAR-OLD portrait stuck inside a 50-year-old LP for safekeeping. And then somebody sold the hiding place to the record store, kind of like the kinfolk giving Goodwill the mattress that hid Grandpa's life savings. The mattress full of Benjamins is just sprung springs, spent stuffing and some clandestine cash. This picture right here, though -- that's somebody's youth. Somebody's lost youth that's been gone about the same number of years as mine. I remember that youth. Not as well as I once did but, like the flipped curls and summer blouse of a beautiful young woman, it rings a bell. Who is she? Where is she now? Have, for her, the years between Jimmy Carter and Donald Trump been as long and strange a trip as they have for . . . well . . . me? How many joys and how many tragedies has she counted off between the vast plain of a life yet to come and the bittersweet reflections in the rear-view mirror as we of a certain age cruise toward eternity? Regrets, I've had a few. I hope that young woman -- the one forever gazing toward a Kodachrome future that now lies largely in the past -- has had fewer. Once, like the song on that Vogues album, she was somebody's special angel. I hope she still is.